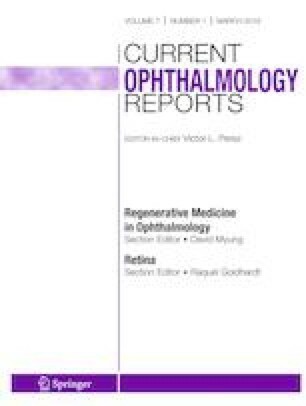 In this manuscript, the recent advancements and novel approaches for regeneration of the ocular surface are summarized. Following severe injuries, persistent inflammation can alter the rehabilitative capability of the ocular surface environment. Limbal stem cell deficiency (LSCD) is one of the most characterized ocular surface disorders mediated by deficiency and/or dysfunction of the limbal epithelial stem cells (LESCs) located in the limbal niche. Currently, the most advanced approach for revitalizing the ocular surface and limbal niche is based on transplantation of limbal tissues harboring LESCs. Emerging approaches have focused on restoring the ocular surface microenvironment using (1) cell-based therapies including cells with capabilities to support the LESCs and modulate the inflammation, e.g., mesenchymal stem cells (MSCs), (2) bioactive extracellular matrices from decellularized tissues, and/or purified/synthetic molecules to regenerate the microenvironment structure, and (3) soluble cytokine/growth factor cocktails to revive the signaling pathways. Ocular surface/limbal environment revitalization provides promising approaches for regeneration of the ocular surface. This research was supported by R01 EY024349 (ARD) and core grant EY01792 from NEI/NIH and unrestricted grant to the Department of Ophthalmology from Research to Prevent Blindness. Silber PC, Ricardo JR, Cristovam PC, Hazarbassanov RM, Dreyfuss JL, Gomes JA. Conjunctival epithelial cells cultivated ex vivo from patients with total limbal stem cell deficiency. Eur J Ophthalmol. 2014. https://doi.org/10.5301/ejo.5000511. Zhang X, M VJ, Qu Y, He X, Ou S, Bu J, et al. Dry eye management: targeting the ocular surface microenvironment. Int J Mol Sci. 2017;18(7). https://doi.org/10.3390/ijms18071398. Avila MY, Igua AM, Mora AM. Randomised, prospective clinical trial of platelet-rich plasma injection in the management of severe dry eye. Br J Ophthalmol. 2018. https://doi.org/10.1136/bjophthalmol-2018-312072.